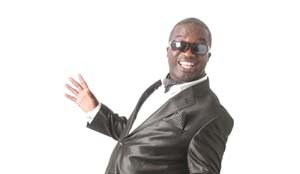 RENOWNED comedian Bob Nkoshya is expected to thrill comedy lovers for three days with his Dorika Reloaded comedy shows from August 7-9, 2014. In an interview with the DSTV Entertainment, Bob confirmed that the shows will take place at Mulungushi Conference Center. The multi talented director, script writer, actor and business executive is promising his fans a basket full of rib cracking jokes at the event. Known for his unique talent of poking fun at different topical issues of social life, comedy enthusiasts hungry for laughter are anticipating and guessing what will be offered on the comedy plate. In 2011, Nkoshya, who is an M-net stand up comedy winner and his colleagues released a stand up comedy DVD titled Dorika and the Big Dudes which continues to dominate on many people’s lips whenever his name is mentioned. The comic video was released under the Bob Nkoshya and Associates in partnership with Zambia National Broadcasting Corporation (ZNBC), MTN and SBM boutique. The Dorika and the Big Dudes is a collection of past stage performances by Nkoshya and four other local comedians. The Big Dudes comprised of Patrick Salubusa, popularly known as Saulosi from ZNBC’s Ifyabukaya on Radio One Bemba programme, Isaac Chamba, Aubrey Luo and Joseph Simukonda who acted in the Copperbelt produced ‘Loose Ends’ soap programme. Nkoshya features prominently in the one-hour-40-minute Dorika and dudes DVD and opens with a performance in front of a live audience filmed at the popular Lusaka play house during the ‘kings of comedy’ show. He later appears in the play as Dorika, a prostitute that shares unique experiences on her lifestyle. Wherever he has been staging performances, comedy lovers always get intrigued with Nkoshya‘s weird sense of humour especially when he depicts himself in plays as a woman, a feat that normally send attendees laughing their lungs out. Tickets to the three days comedy extravaganza are being sold at Shoprite stores.